If you love basking in the atmosphere of a bustling farmer’s market, then Loewen Farmer’s Market is for you! On 29 September 2018, parents can shop fuss-free for fresh produce, while the kids enjoy their time at the bouncy castle. There’ll be a range of vendors selling fresh produce as well as organic products like honey and grains. Grocery shopping has never been more fun! Some vendors might even let you sample the products. Who doesn’t love free samples, right? 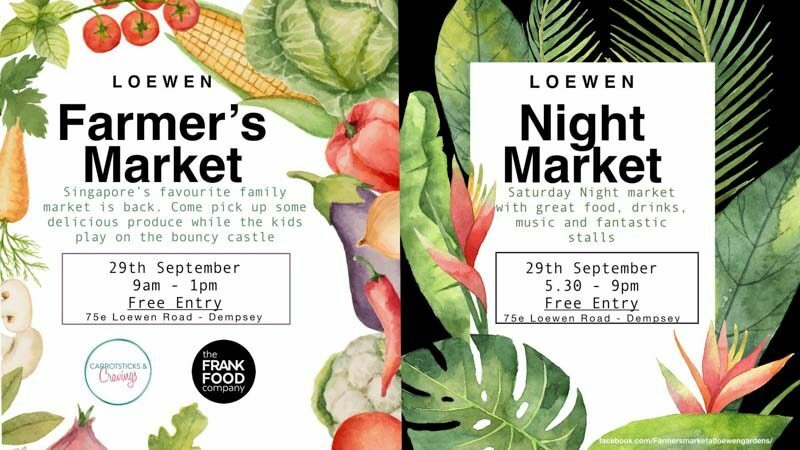 When the sun sets, the place transforms into Loewen Night Market, where there’ll be great food, drinks and music for all. You can always head home to drop off your fresh produces and take a little rest before heading back for the night. With small-batch wines and craft beers, the night market is sure to be buzzing with good fun. Gather your family and friends for a fun and fruitful Saturday!